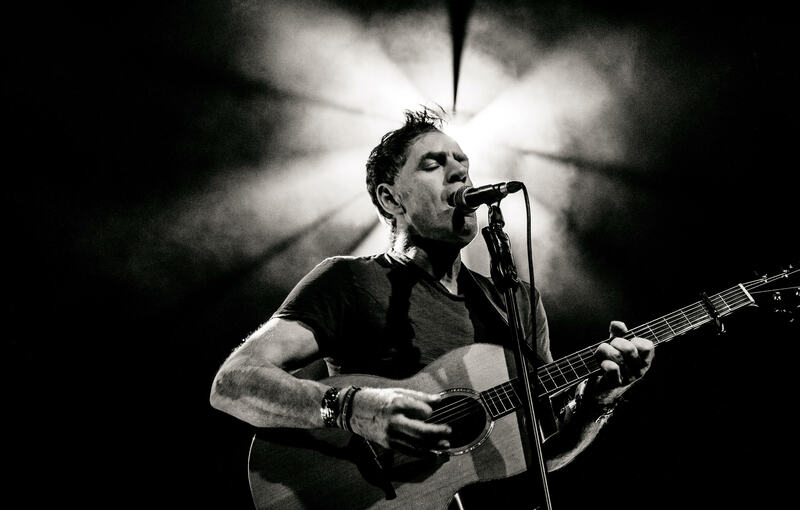 Martyn Joseph is a unique and mind blowing artist. Take everything you think you know about singer songwriters….and rip it up. For one man and a guitar he creates a performance with a huge far-reaching sound that is energetic, compelling and passionate. Be it to two hundred people or twenty thousand, he blows the crowd away night after night. With a career spanning 30 years, 32 albums, over a half a million record sales and thousands of live performances, the versatility of his music touches genres of folk, rock, soul, folk funk and Americana, yet somehow all these labels cannot define the spirit of his music. Martyn was awarded Best Male Artist at the 2004 BBC Welsh Music Awards and in 2012 his song “There’s Always Maybe” won the best folk song category in the World Independent Music Awards. 2016 was one of Martyn’s busiest, and this was acknowledged by him being nominated in the “Hardest Working Artist” category at the UK Independent Music Awards, being the only folk artist to receive any nomination. Playing over 170 shows worldwide he was also part of the Parliament/EFDSS project “Sweet Liberties” marking 800 years of British democracy. One of his songs from this, “Nye” celebrating Nye Bevan, the author of the NHS, has been enthusiastically received by audiences everywhere, as well as having BBC national airplay on Mark Radcliffe’s Folk Show and Tom Robinson’s 6 Music show. Martyn is one of the few artists we re-book every year at Folk in the Barn. Those that know the power of his music and performance will know why.